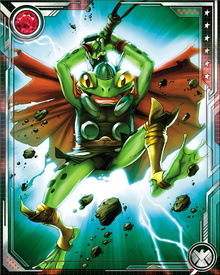 A human turned into a frog by a gypsy curse, Throg was originally Puddlegulp. He became Throg after witnessing a sliver of Mjolnir break off against the goat Toothgnasher's hoof. 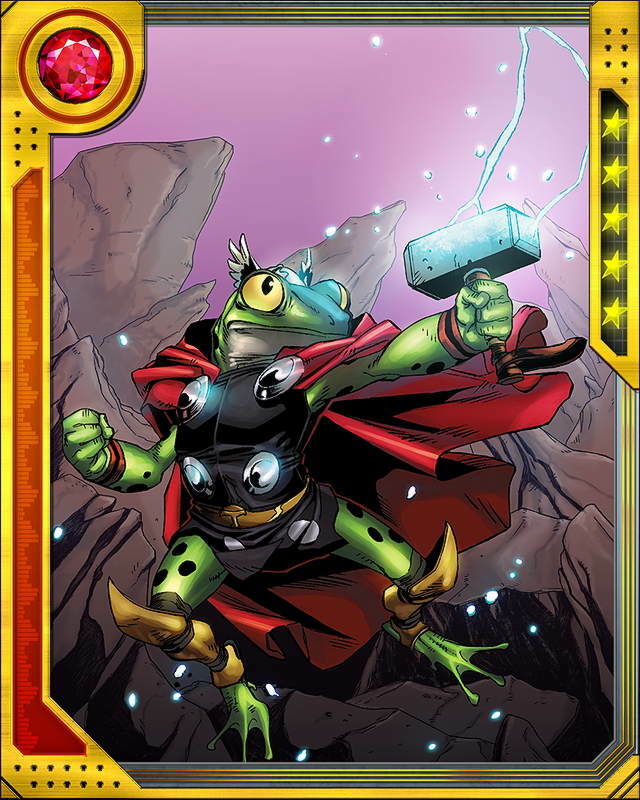 Picking up the fragment, Puddlegulp saw it become a tiny version of Mjolnir and beheld himself turned into Throg, Frog of Thunder.